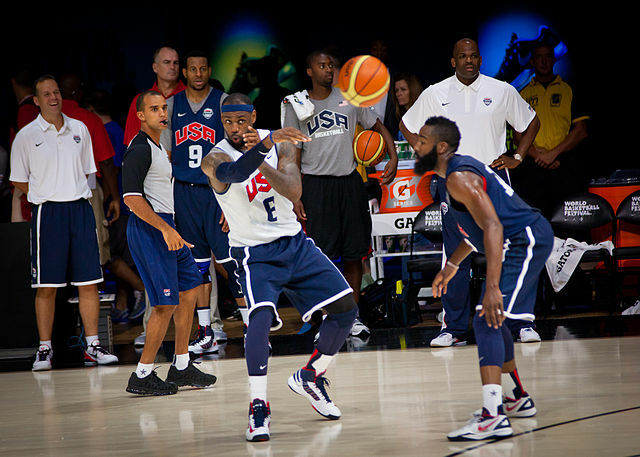 Stop me if you’ve heard this one before: LeBron James is the best basketball player in the world. Shocking, right? Maybe so if you’ve spent the last four or five years under a rock, when we saw James emerge from a cocoon of potential into league-defying dominance. What goes less noticed in the face of highlight reel plays and the deep postseason runs year after year is just how well LeBron fits the Miami Heat. That he’s the engine behind the squad is obvious — Dwyane Wade is only able to capture the magic about half the time (a reason why he sat out so much of the regular season), and Chris Bosh spends a significant amount of his on-court effort practicing as an understudy in The Invisible Man. What James does on the floor is as close to genre-defying as you can find in the wide world of sports. He’s listed at 6-foot-8 and 240 pounds, but he plays much smaller than that — until you see him post up one of his contemporaries, that is. After finally transitioning from the jump-shooting wing he was never really cut out to be (full disclosure: no trite Michael Jordan comparisons forthcoming) into the Larry Bird on steroids(?!) that made the most out of his considerable physical gifts and his acumen for every facet of the game, LeBron finally grew into the dominant force that everyone had pegged him for as early as 2001. He has tremendous skill combined with an obscene durability. During any given regular season over the past decade, James has yet to miss more than seven games, and that gives LeBron the consensus nod as the best player in the league today; MVP awards that occasionally land in someone else’s lap are just a necessary concession to the multifaceted faces of basketball talent in today’s NBA. But James wouldn’t be nearly as good without the Miami Heat, even and especially when the Heat are so dependent on his gifts to succeed. Here are three reasons why. If you spend any time at all trawling through NBA.com’s stats page or Basketball-Reference, certain unremarked-upon tendencies quickly make themselves apparent (even if the websites have, possibly purposefully, a pair of the clunkiest interfaces known to mankind). Players see their defense take a hit in a loss, effort slips on the defensive end from season to season, and small sample sizes wreak havoc on everything all the time. 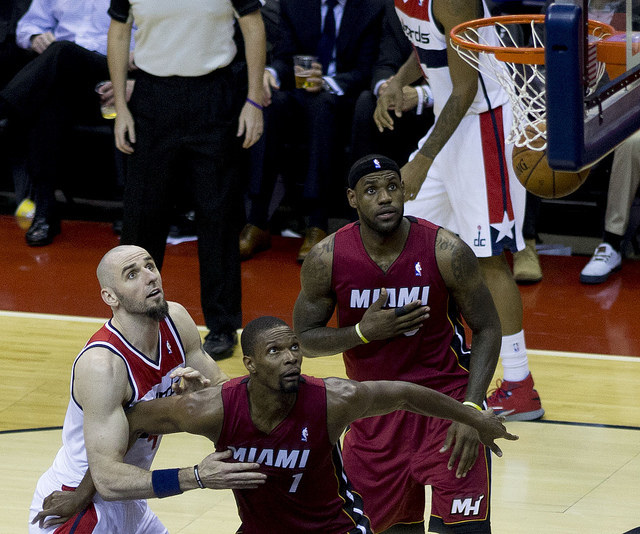 What’s not in dispute, though, is that LeBron remains a lockdown defender. After putting the league on notice by singlehandedly dismantling a healthy Derrick Rose and a league-best Chicago Bulls back in 2011, James has routinely been tasked with shutting down the other team’s best player, and while he doesn’t often guard power fowards (the Heat relied on Shane Battier to accomplish that last year, but the Duke alum seems to have mostly disintegrated this season), he can absolutely lock down anyone from 1-3 while still contributing his typical stat line — usually something north of 20 points, around 8 rebounds and, say, probably 6 or 7 assists. 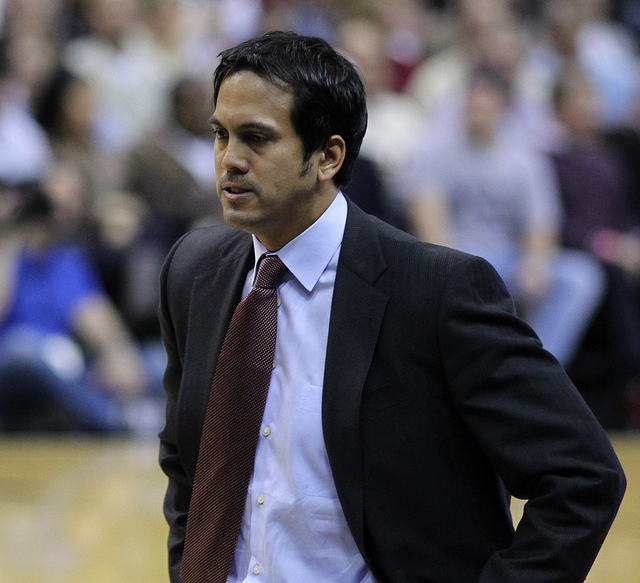 For some reason, many are hesitant to give Heat head coach Erik Spoelstra the credit he deserves. While the fact that he’s the longest tenured head coach since Greg Popovich doesn’t say as much as we might like, given the fickle nature of the NBA business and how quickly front offices scapegoat the coaching staff for what might be managerial failings, he is far from the right-place, right-time All-Star that many of his detractors make him out to be. 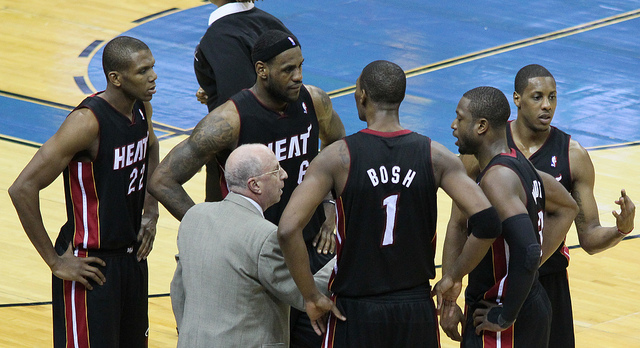 Consider the system that the Heat are currently using on both sides of the ball, then contrast the way Miami played after the Big Three formed in 2011, or how LeBron’s offensive duties were dictated by Mike Brown back when he was on the Cavs. The difference is almost as stark as day and night — proof positive that even the most obvious talents, in sports or elsewhere, can be squandered if not properly applied. While no one was publicly keeping track of how often LeBron was put in the low post during his Cavalier days or how much time he spent at the 4 when he was in Cleveland, it’s a safe bet that the answer hovers around “not very much at all.” Brown, by all accounts, is a pretty good guy. He is definitely not as innovative a coach as Spoelstra, and Spo’s ideas are a massive contributor to LeBron’s success. When he left for Miami, James ended up with the coach he deserved, and now his team stands primed to hit the NBA Finals for the fourth consecutive year.